After you receive your ‘A’ Certificate, the next step towards becoming an experienced skydiver is to complete your B-Rels (B-Rels = ‘B-Certificate’ Course relative work jumps). B-Rels are designed to teach you how to skydive safely with other skydivers. The B-Rel program consists of 6 Stages. If your flying skills are already exceptional, you might even be able to do more than one Stage at a time. Once you’ve completed all six stages (and a few additional minor qualifications), you’ll be eligible to receive your ‘B’ Certificate. 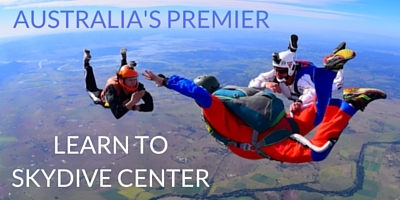 One of the biggest hurdles to a skydiver in the early months, is the cost! SQPC $100 ‘B Certificate’ Rebate Application – A $100 ‘B Certificate’ rebate upon completion of your ‘B-Certificate’ – available for SQPC members who gain their Certificate B in the previous 12 month. TSC Jump Ticket Rebate: B-Rel-Reimbursement – To be eligible for a B-Rel jump ticket refund you need to have been a TSC Club member before beginning the B-Rel jump table, and to have done all theses jumps at the Toogoolawah drop zone. 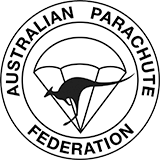 APF B-Rel Buddy and B-Rel Boost Camps are training programs designed to help novice skydivers further their training. This video was compiled on Saturday, the 12th of May with B-Rel candidates Jett Girvin (with the help of his dad David and his mum Vikki), as well as novices Ash Robinson, Tyler Stewart & Warner Trim. Thanks to the APF for their support and thanks to Steve Fitchett and the camera flyers for their contribution.